Let’s explore how can we change the page size of a PDF. We’ll explore how to divide a PDF document into multiple smaller documents. The use case here is a large PDF document that you want to split into multiple smaller documents. We’ll take a look at how to do this visually. You get a visual preview of how the resulting PDF documents will look. Also called burst split, it extracts every page from a document to a separate PDF. To achieve this just click the Split PDF with the default settings. A document with 10 pages will be transformed into 10 documents, each containing a page from the document. 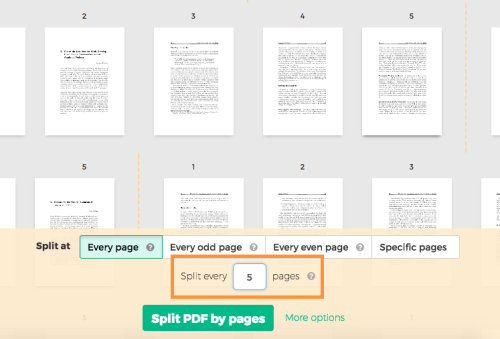 Here’s how to extract every 2 pages to a separate PDF. Here’s how to add a password to your PDF document. It’s also called an open password, because others can’t open the file without knowing this password. We’ll use Sejda PDF’s toolset for editing PDF files to password protect pdf. Click Encrypt PDF and then Download your protected PDF file. After that try to open the result and confirm that the open password works. How do you lock a PDF from editing? One way to do that is by setting PDF permissions on the document. This will make it harder (but not impossible) for others to edit your document. How do you secure a PDF file? By setting an owner password, which prevents others that don’t know the password from changing the PDF document permissions. Here’s how do to it, in few easy steps, The same page where we show how to password protect a pdf allows setting PDF permissions as well. Click More options and Select all permissions that you want others to have on your document. By default none as selected (most secure, most restrictive). Modifying - Modify the contents of the document by operations other than those controlled by other permissions. Copying text or graphics - Copy or otherwise extract text and graphics from the document, including extracting text and graphics. Printing - Print the document (possibly not at the highest quality level, depending on whether ‘High Resolution Printing’ is also selected). High resolution printing - Print the document to a representation from which a faithful digital copy of the PDF content could be generated. When this permission is not selected and only 'Printing’ permission is, printing is limited to a low-level representation of the appearance, possibly of degraded quality. Filling forms - Fill in existing interactive form fields (including signature fields). Commenting - Add or modify text annotations, fill in interactive form fields, and, if 'Modifying’ permission is also selected, create or modify interactive form fields (including signature fields). Insert, rotate or delete pages - Assemble the document (insert, rotate, or delete pages and create bookmarks or thumbnail images), even if 'Modifying’ permission is not selected. You should know that these permissions are not enforced by all PDF readers, so they are not 100% safe. 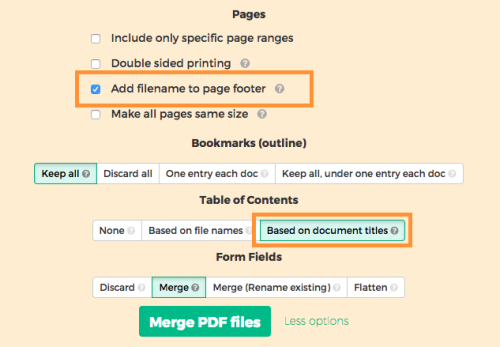 We’ll show you how to merge few PDF files into a single one. Using an online application has a few advantages over installed software. Click Merge PDF then Download your result. How to merge PDFs and create a table of contents? 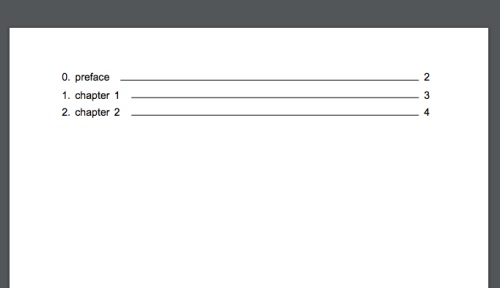 Generating a table of contents is handy for navigating a merged PDF. The first page in the merged document will contain a list of all chapters, with clickable links to navigate directly to the first page of each. The starting page number is also displayed. To create a table of contents, click More options and then update the Table of contents option to generate the TOC based on either filenames or document titles. It’s handy to know the source of each merged PDF page. This is easy when the filename or document name is stamped in the page footer, for each merged page. To do this with Sejda’s Merge PDF tool, click More options and select Add filename to page footer. Let’s say you often get multiple forms emailed to you, same form but with different content. When you try to combine the files with Acrobat you receive an error message saying that you can’t merge the forms because the field names are the same. It suggests using a “portfolio” as a workaround, otherwise all the fields with the same name get the same value. There’s 4 options to handle this with Sejda PDF’s merge tool. First option is to Discard all form fields metadata. The widgets will remain rendered on the pages, together with the filled in values. The downside to this option is that you can’t extract pairs of field names and values anymore. The field metadata is gone. Next options are to Merge the forms into a single form. This won’t handle duplicate form field names: all the fields with the same name get the same value. There is however a Merge the forms renaming duplicate fields which will handle duplicate form field names: each field with a duplicate name gets a new name that is unique across the document. The last option is to Flatten the form fields which means the input becomes read-only, the value is preserved but it cannot be changed anymore. (It’s also not a form field anymore). Give each option a try and see which one works best for you.